Spinal stenosis from scoliosis can be mild or severe, depending on the type and degree of the abnormal curvature involved. Scoliosis is one of the most common spinal irregularities and is rarely the source of pain unto itself in mild versions. Moderate and severe curvatures may indeed be symptomatic and extreme curvatures may enact disastrous results, including spinal instability in some patients. It is always vital for patients to know the extent of their spinal curve, and to monitor the condition with a specialist, to be sure that even minor curves do not progress to the point where they become true health concerns. This essay details the ways in which scoliosis can create or worsen spinal stenosis problems in the backbone. Scoliosis describes a condition where patients demonstrate one or more abnormal side-to-side curvatures of the spinal column. This is unlike spinal stenosis from spinal curvatures which involve atypical front-to-back curves, such as hyperlordosis, hypolordosis, hyperkyphosis and hypokyphosis. When the spine bends sideways, the central canal may not line up correctly level to level and the foraminal spaces will likely be decreased on the side facing the interior of the curvature. When either of these events occurs, central spinal stenosis or neuroforaminal stenosis may be present, potentially enacting symptoms in severe conditions. Minor side to side spinal curvatures are usually considered common and benign. Most exist in women, but can also exist in men. There are many possible reasons for scoliosis to exist, including congenital curvatures, developmental curvature and degenerative curvatures based on age or injury-related changes to the spinal anatomy. Irregular curvature is measured in degrees, just like an angle, making diagnosis and monitoring very easy and universally understood. Scoliosis may involve a single side-to-side curvature, often called a “C” curve or may involve 2 or more side to side curves, usually referred to as an “S” curve. Neither is inherently more problematic than the other, but both can be a real concern if the curvature is bad or continually progresses. 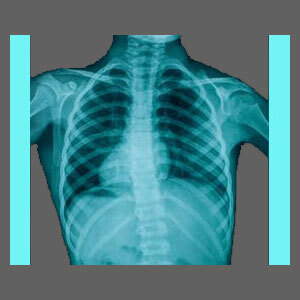 Scoliosis is luckily not a serious issue when the extent of abnormal curvature remains minor. Unfortunately, more serious cases of abnormal side-to-side curvature can not only be incredibly symptomatic, but they can also be a nightmare to treat effectively. Typically, the solution for severe spinal curvatures is very invasive fusion surgery using specialized hardware to align the spine and prevent further degeneration of the curvature. While this may be successful in stopping the progression of the condition, the side effects are horrific, including common incidence of chronic pain, limited physical functionality and even complete disability. In many treated patients, the surgical hardware itself causes rejection or infection issues, leading to multiple follow-up procedures. Just remember that most mild to moderate curves will not likely be the source of pain, or related neurological symptoms, even if the curvature does narrow the spinal canal or foraminal spaces conservatively. 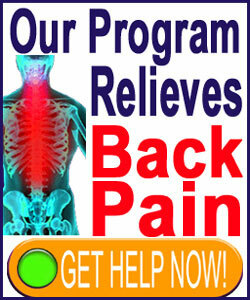 Read more about the entire scoliosis condition from the leading experts on the subject at Scoliosis-Pain.Com.